I’ve been doing different kinds of felting for several years now, and people sometimes ask how I know how big to knit something when I want it to be a specific size after it’s felted. The simple answer: it depends. You have to know your wool. Some yarns, like Paton’s merino, shrinks for me by about 1/3, so I always knit things made with that yarn about 1/3 larger. Other yarns, like those specially designed for felting, I’ve found shrink far more, at least by half and sometimes more. The only way to relative certainty is to knit a swatch, measure it, felt it, then measure it again and calculate the difference. I know this is heresy in the eyes of some felters, but I’ve been known to spin wet knits in the dryer set on medium, let it tumble for about 2 minutes, take it out and check the size, and repeat as necessary. Works for me. 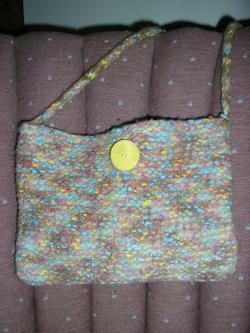 This bag was knitted with Lion Brand Monet yarn, which unfortunately has been discontinued. Agitation is the key to felting. To help increase the agitation, you may wish to add an old pair of jeans to the wash. Be careful not to add anything like towels, as lint may get caught up in your felt. 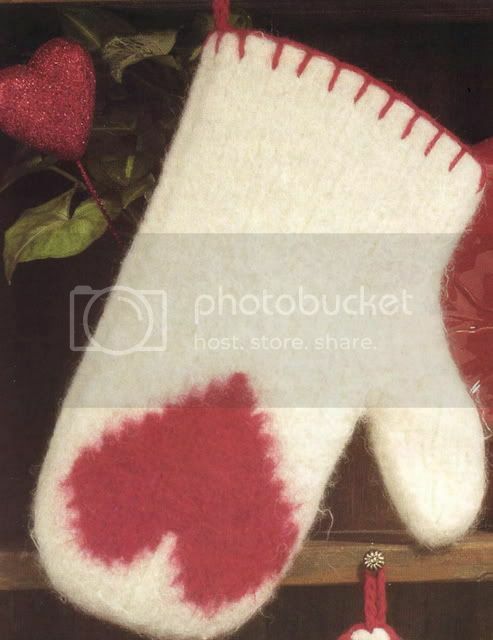 Hot water is used to soften the wool and speed the felting process, but extremely hot or boiling water is not needed. 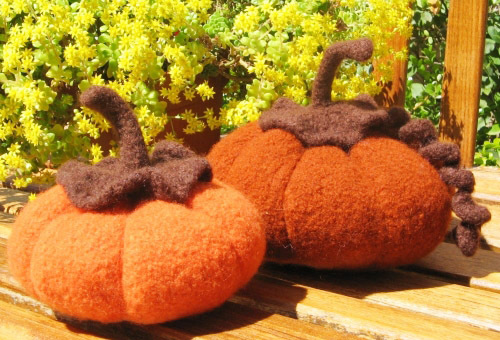 It will make little difference in the felting time and makes it difficult to handle your knitted item during the process. Detergent or soap works with the hot water to soften the wool and speed felting. To protect your washer from excess lint, place the knitted item in a zippered pillow protector, or at the very least, a fine mesh bag. The most important step in felting is to check on the progress regularly. That is the only way that you will be able to stop when the size is right. Some people do not use your washer’s spin and rinse cycle as it may set permanent creases in your felt. I have not experienced this as a problem. To begin felting, set washer for hot wash, low water level, and maximum agitation. Add a small amount of a mild detergent. Place the bag with the knitted item in the washer. After about 5 minutes, check on the progress. Check again every 3 to 5 minutes. Every time you check on the progress, remove the knitted item(s) from the bag and change the way they are folded before returning to the washer. Reset the washer to continue agitating if necessary. Do not let it drain and spin. Just keep agitating and checking on them, until they are down to size and firm enough to hold their shape. Smaller items may take quite awhile to felt. When the items appear to be the right size, remove and rinse by hand in cool water. Use a towel to remove some water and check the fit. It’s not Halloween yet, but Fall is most definitely here, and Thanksgiving’s waiting in the wings. I don’t like most of the Halloween patterns that I found while surfing, but these little beauties are more sophisticated than most of what’s out there. 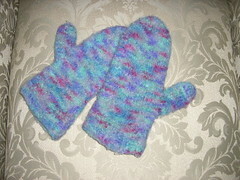 They are knitted in segments, sewn together, and then felted. I made four in orange, gold, and rust, and for the tops, I felted an old dark green sweater and cut out the shapes. Came out great! 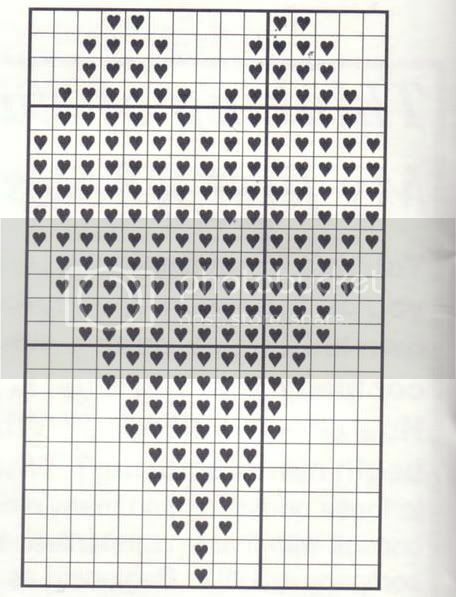 This design has so many embellishment possibilities. Use your imagination to turn out one of a kind holiday keepsakes.